A few of you have contacted me asking for suggestions on what to pack for a week-long vacation and how to fit it all in a carry-on. 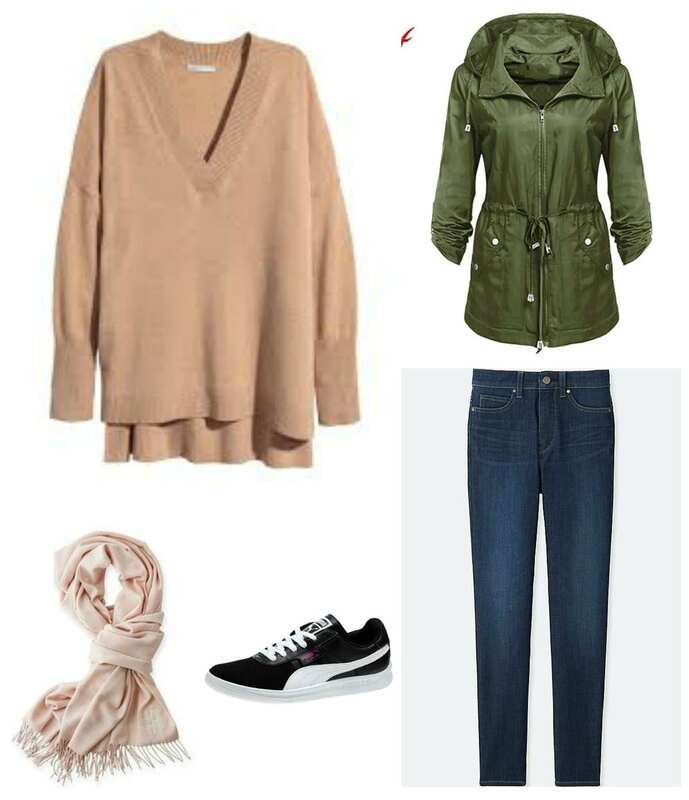 Most of you are looking to visit places that aren’t terribly hot or cold, so I made this capsule wardrobe for spring-like conditions. 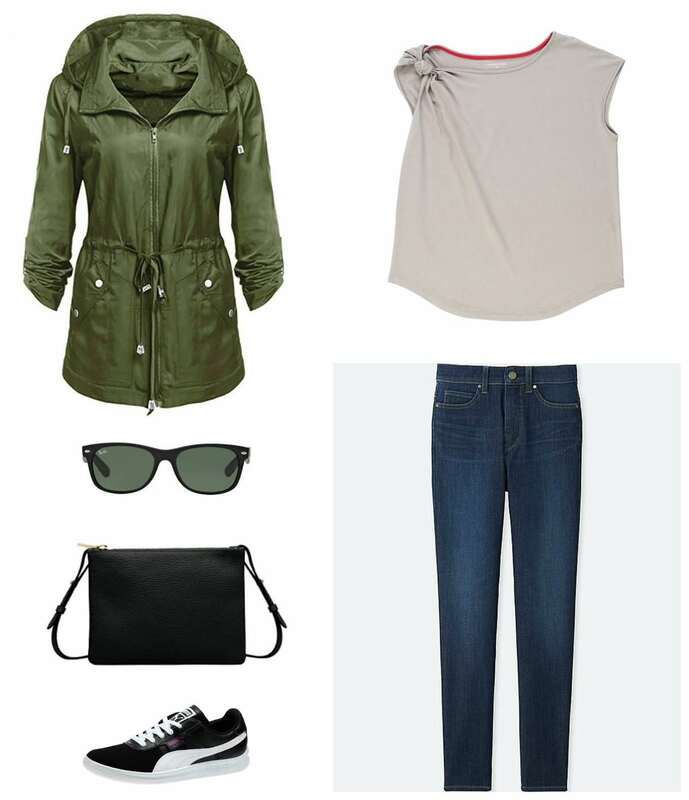 Below is a vacation capsule wardrobe for one week, one carryon suitcase. I am planning a 10-day trip to Copenhagen in July, and planning on just taking my carry on. But I am having the most impossible time settling on clothing and footwear. I'm 41, size 8 or 10. 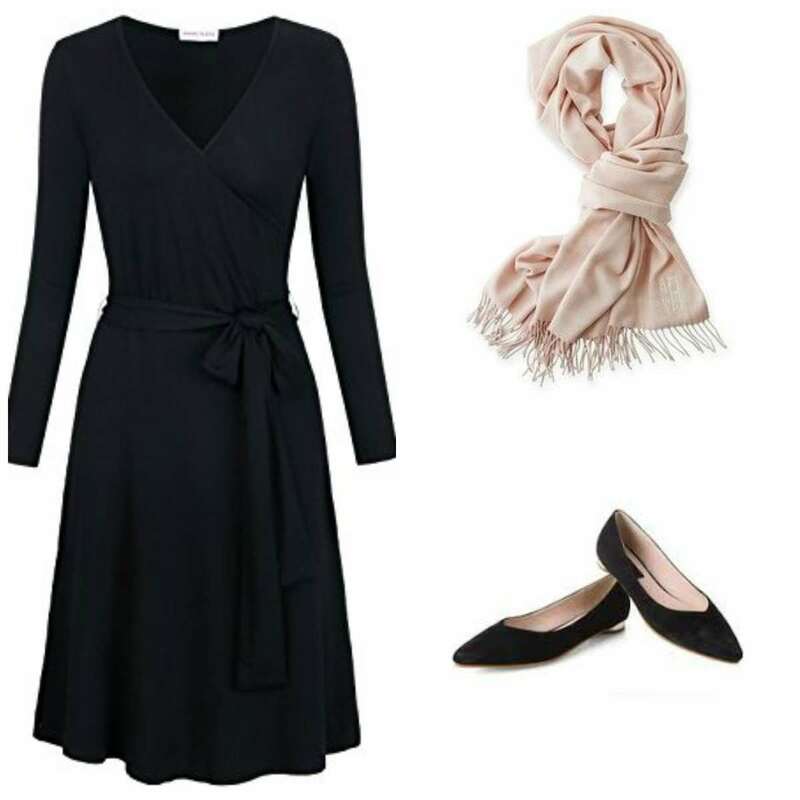 Can you suggest some effortlessly chic pieces appropriate for daytime touring and night time dinners out? Hi Allie, I am going to Toronto to visit my college roommate. I hope to fit everything in my carryon. I know we will be seeing the sights and going out for meals and drinks and there will be a party at a restaurant. How can I pack light but also look chic? Tips on what to pack for a week in Europe that can fit in a 22” suitcase? Want to pack light and don’t want to look like a tourist. Help! The capsule wardrobe below is a guide to get your creative sartorial juices flowing. 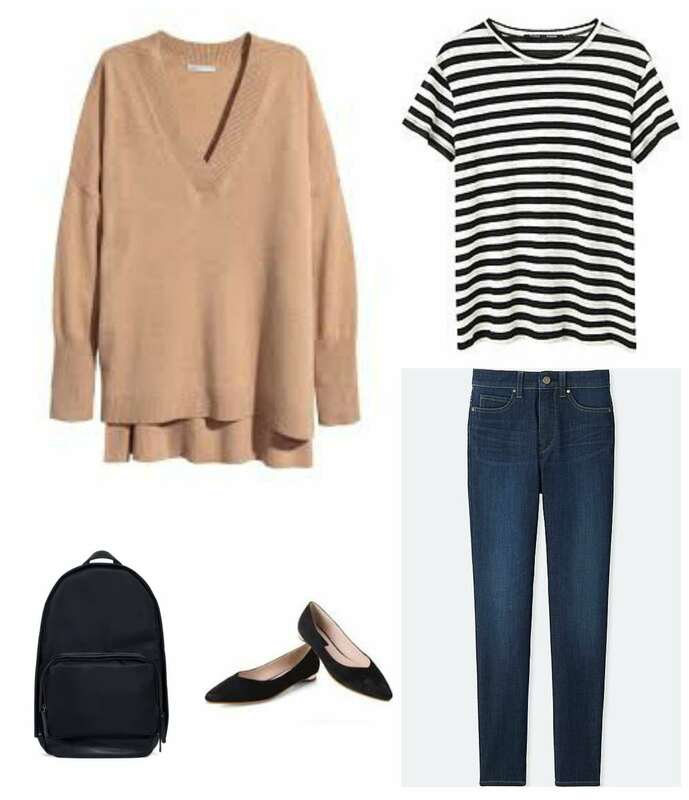 I kept the capsule very basic – black with neutrals, so everything can mix and match and nothing is too memorable so you can wear them multiple times. There’s plenty of variety so you can go to the theater or an elegant restaurant and also have comfortable clothes for a day of sight-seeing. 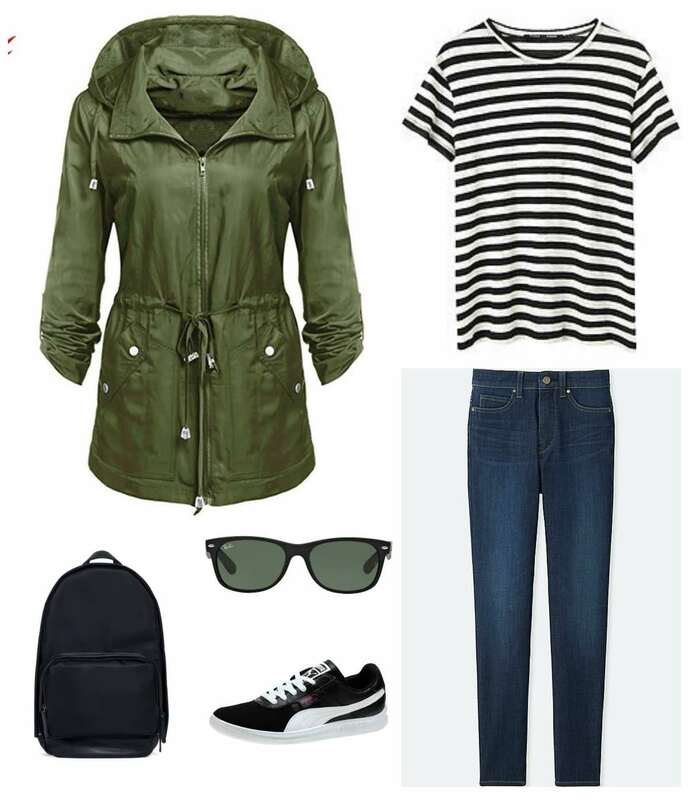 With 18 pieces including shoes, bags, outerwear, and accessories I created 18 outfits to get you through a week of sight-seeing, day hikes, dinners, and more. Click on any thumbnail graphic in the gallery to see the full-size images and descriptions. Hover over the images to find arrows to advance and go back within the gallery. If there’s an ad in the way, x it out to read captions. Click the X at the top right of an enlarged image to close the gallery and return to this blog post. 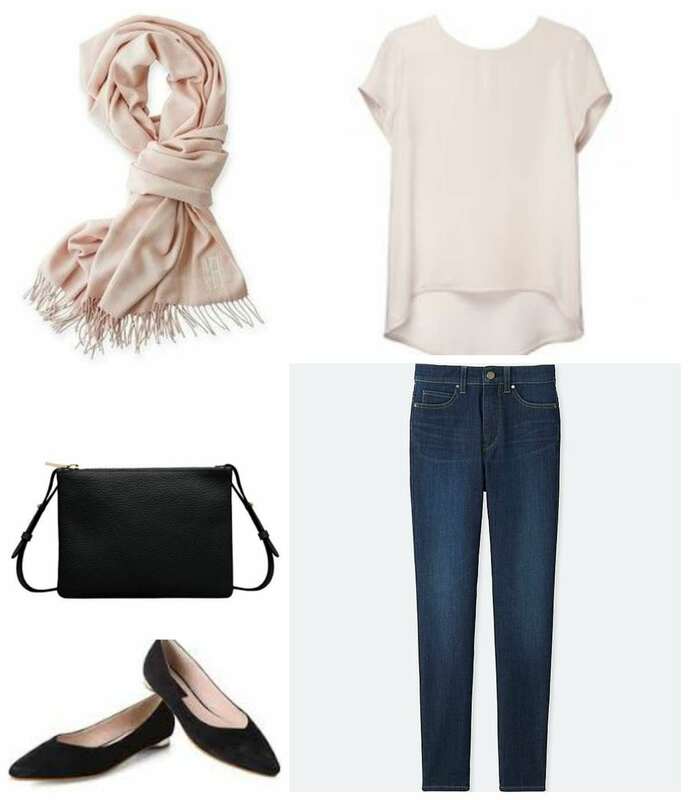 This capsule wardrobe focuses on black with touches of cream, blush, and camel. 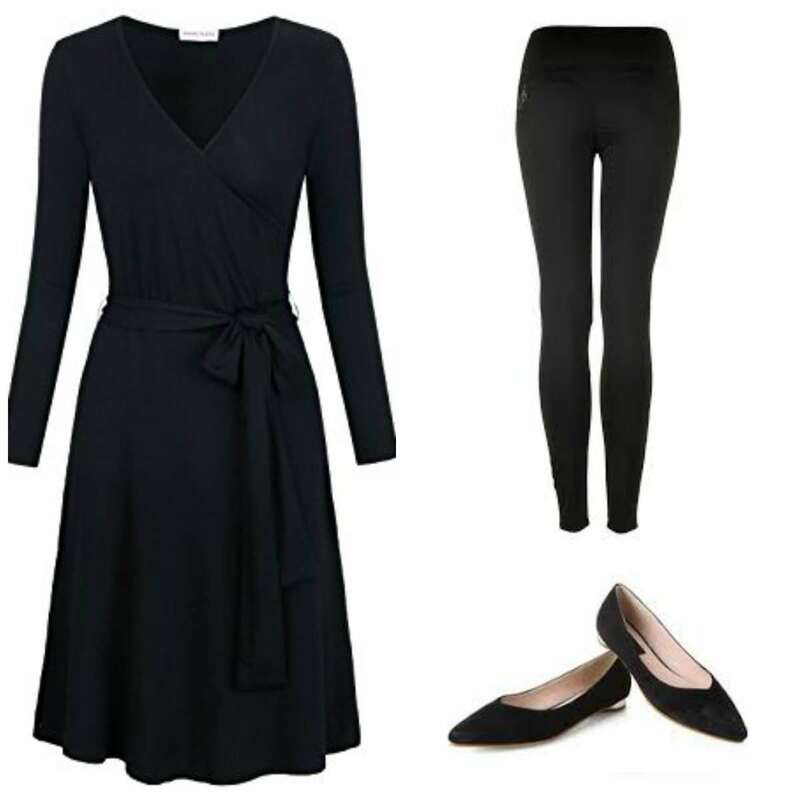 Black easily dresses up and down, so a piece can work for the coffee shop or a cocktail party. Black is also easy to spot clean and hides sweat. If the neutrals aren’t your thing, it’s easy to switch out for your signature color or a mix within one palette (for example peach, coral, and pumpkin or teal, jade, and turquoise). You want the colors to mix and match easily and be able to be worn together without looking too wacky. If you wish to look like a local and not a tourist, for most major cities that’s most easily done with neutrals and a simple color palette. There’s a chance of rain, you’ll spend one day high in the mountains and the next in a bustling city, you’re away from your hotel for 12 hours or more. Layers are the way to survive your varied vacation week. 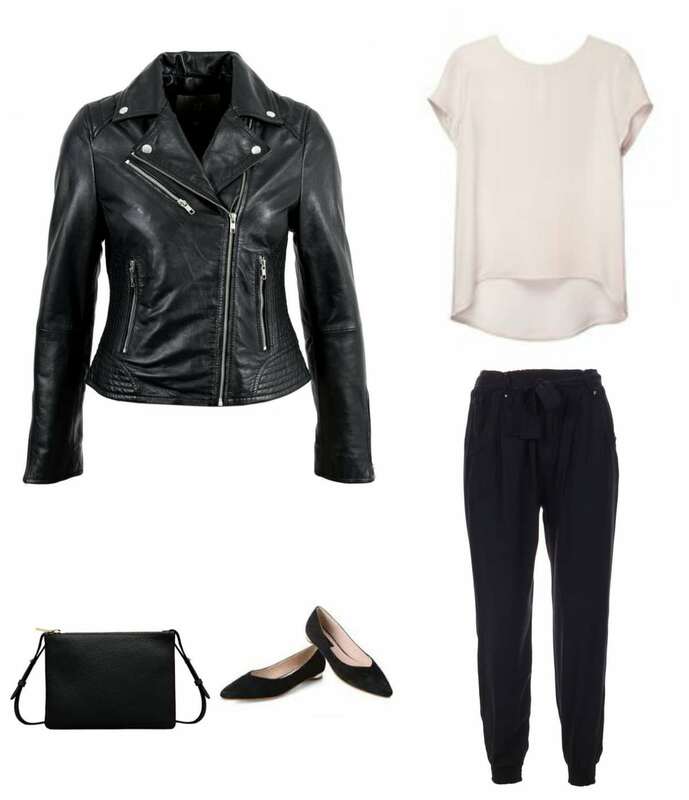 A leather jacket is a great way to look chic while staying warm. Choose one that is more tailored of a fit and a softer leather (real or faux) and it can become part of your look and be chic enough to pair with dresses for a nice night out. An anorak that is a bit longer and water resistant will be great for day hikes, drizzly days, and more active excursions. A longer sweater will provide warmth and easily slip over layers. Have it thin enough that you can tuck or half-tuck it or even hike it up with a hip belt to switch up the silhouette and extend your wardrobe further. 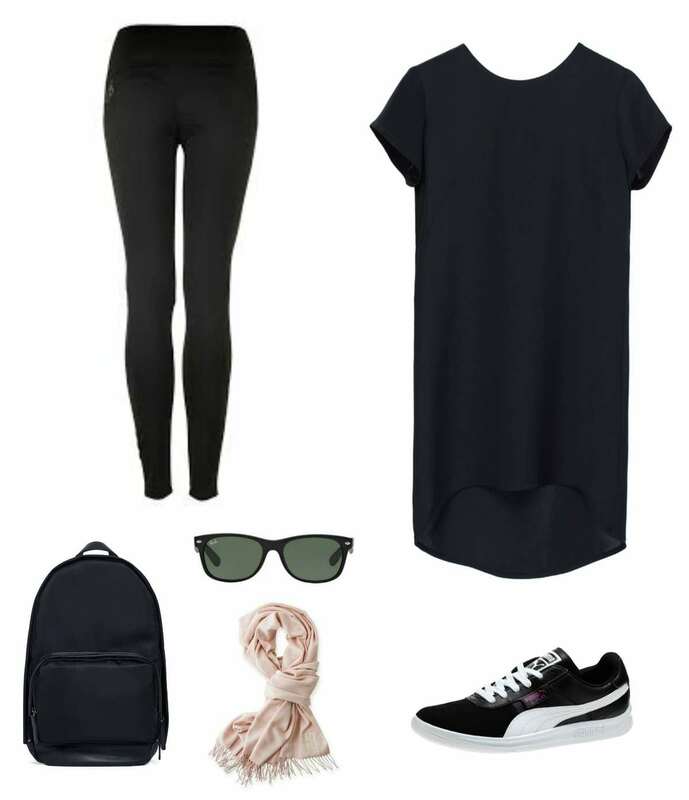 A slim tank or camisole takes up nearly no space in your suitcase but is valuable for adding warmth, switching up the neckline of looks, and even being worn on its own with a skirt or looser pants. A pashmina or large scarf is great for being a blanket on your flight, extra warmth in a drafty hotel room, can be used as a shawl with a dress, and adds warmth but also interest to outfits. In this capsule I have a silk t-shirt dress and silk t-shirt. In a dressier fabric, these pieces can go glam in an instant. If silk is too high maintenance for you, choose the same effect with other fabrics that have great drape. Matte jersey and poly blends that replicate silk are great alternatives. 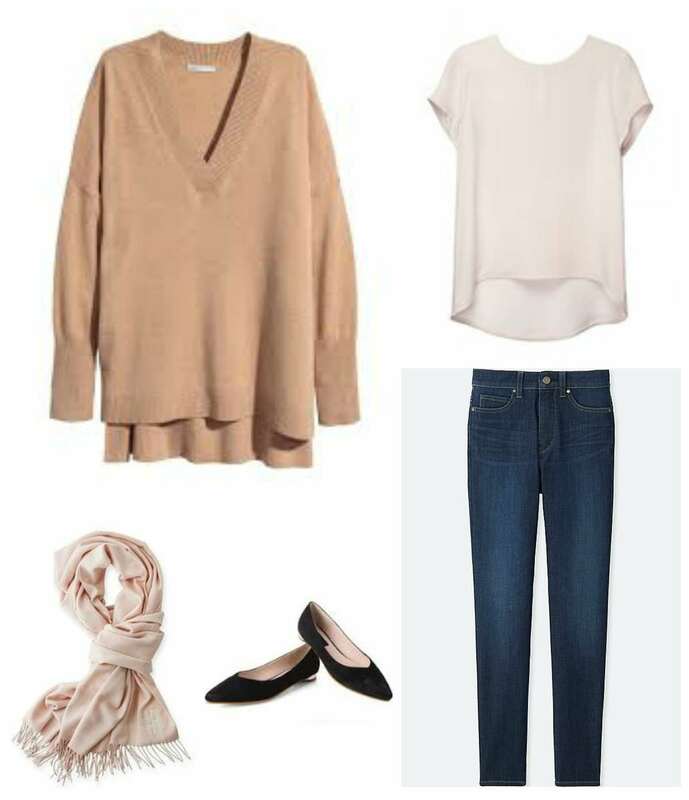 Instead of stiff cotton t-shirts, look for knits with a bit of Lycra, polyester, nylon, silk, or linen which will make them drape better and be more comfortable and flattering. For knit pants and dresses, consider ponte. A tightly woven heavyweight knit, ponte is as comfortable as yoga pants but more refined. Such fabric can be worn to hike to the top of a hill or be styled with flats and a silk blouse for dinner. I usually include jewelry in a capsule wardrobe, but for this one I left it out because I think it’s a place where you can incorporate your personality. Love big statement pieces? More of a minimalist? Don’t go anywhere without your grandmother’s locket? Hate to wear jewelry? All of those and more can work with a capsule like this. I recommend a minimum of two bags – one that is a small crossbody that you can clip off the strap and turn it into a clutch, and one that is comfortable to carry all day. Both should have secure closures and a variety of pockets to keep your essentials safe and organized. For shoes, I have a pair of comfortable sneakers that are also on trend, and a pair of comfortable flats with plenty of cushioning. If you have room, you may wish to also include a pair of truly athletic shoes or a pair of ankle boots that have great support and can take a beating. Consider wearing your biggest shoes on the plane to save space in your suitcase. A pair of classic sunglasses like Wayfarers or aviators are perennially chic in many countries around the world. If in doubt when it comes to accessories, go simple and classic. 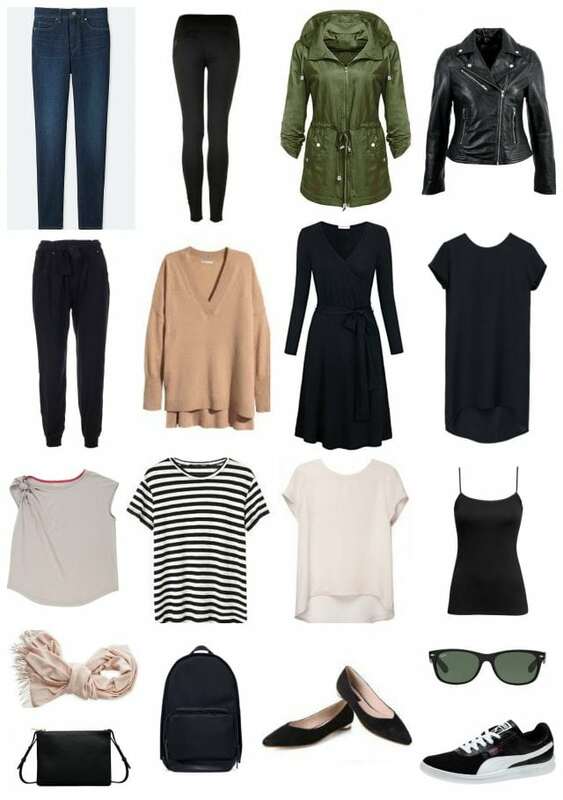 The above capsule wardrobe is simply a guide to have you start thinking about what is already in your closet that would work for your vacation. Likely you already own many similar pieces, and just need a couple items to fill holes and make the capsule cohesive. 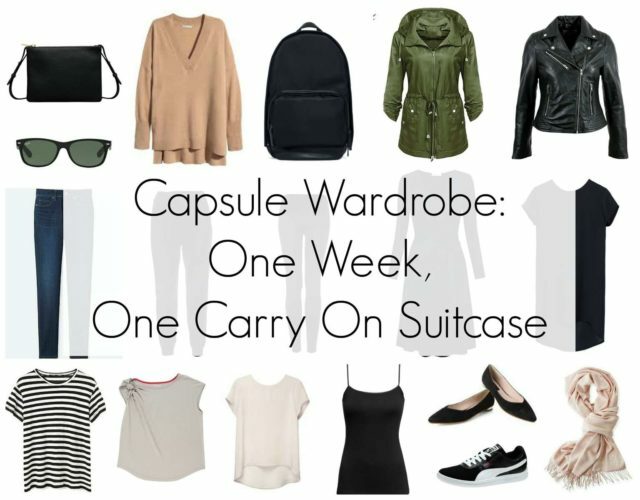 Try on your travel capsule wardrobe before leaving. Envision outfits, even write them down so know you’re ready for whatever events are on your itinerary. 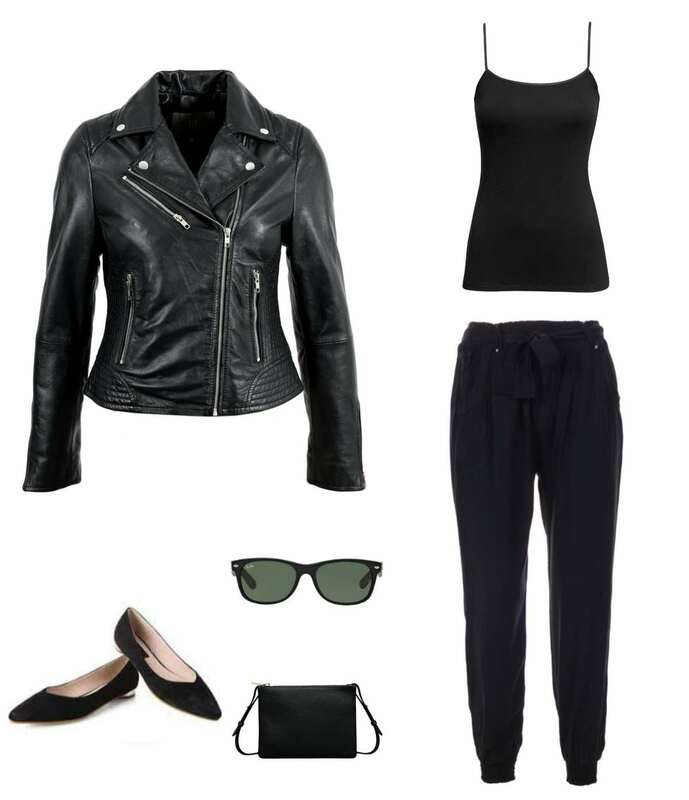 Keep your capsule wardrobe simple and you can blend into any situation, even ones you didn’t expect. Have a blast on your vacation! I love this! I am planning/hoping for a trip to Canada this coming Christmas, so I think I would have to make sure at least some of the pieces are winter-weight, and add a very warm coat and shoes, but as a guide it’s very helpful!! This is a great starting point for my first trip to NYC in late August! I’m working toward a capsule that will hide the fact that I’m a PNW mom that lives in hiking shorts and Keens. I will be switching the pants for skirts and walking shorts, an extra dress in place of the sweater. What else would you recommend in place of the two jackets? Thank you!! How about a vest? 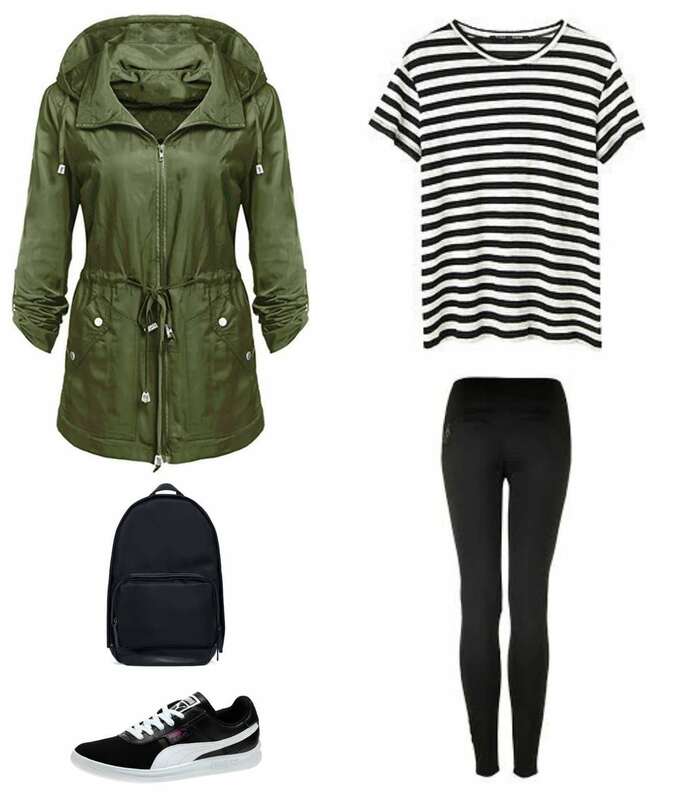 One that acts similar to the olive jacket by cinching at the waist and offering plenty of storage. Talbots has one I’ve been eyeing http://bit.ly/2MZtVX1 Also I think a statement accessory (bold necklace, scarf or bandana) in a strong color/pattern can do a lot to switch up a look. Tie “flight attendant” style to dress up, bandana style to glam up a t-shirt, wear as a belt, tie on bag or even a low ponytail! Have a wonderful time, I’m heading there next month and can’t wait! Ooh, fun option, and I like that the vest comes in a color other than green! Thank you for your input. I’ve been a long-time reader, love your style! For people who have successfully packed like this, do you do laundry while you’re away? I’m fine with repeating pants but I find I’m not comfortable repeating the tops. After a full day of walking/sightseeing, the tops don’t seem fresh enough to treat. While I haven’t travelled with a wardrobe as nice as this, I do usually pack as light as I can. I would rather do laundry than lug big bags around. So I make sure my items are easily wash and durable! This is so, so smart. You are welcome to pack my suitcase anytime! Thank you! You have saved me from myself, and buying and returning dozens of pieces that didn’t really work together! You are the most awesome capsule creator! I love the low maintenance office style capsule you did a few months ago, and have replaced several pieces in my closet based on it. This one is perfect, too. I love it! I love this guide! I went to California for a week and I only wanted to bring a carry-on. I had to contend with hiking in the Redwoods, attending a wedding in wine country, and about 5 days in San Francisco, and I relied really heavily on neutrals. I’m also wondering if a jumpsuit might be handy? Granted, I’ve completely drank the jumpsuit koolaid but I brought a black sleeveless jumpsuit on a recent trip and it was such a workhorse. 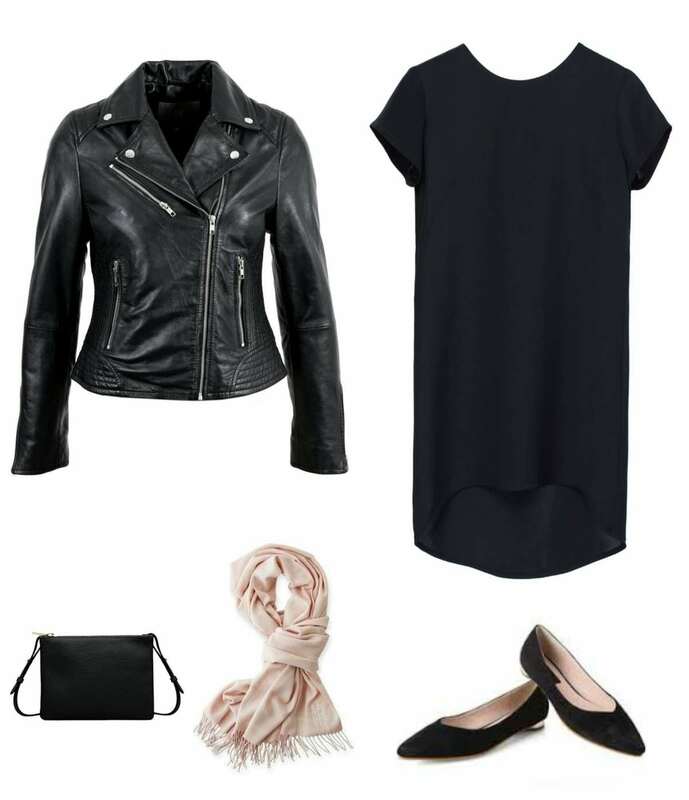 I could easily dress it up with a heel for a night out, make it look cool with my leather jacket, but it was also an easy day option with a fun cardigan thrown over it. I love a jumpsuit, they are great for exactly what you state! I will be referring back to this for our trip to Ireland’s in August! Thank you!